Seriously? OMG! WTF?Drew Barrymore Archives - Seriously? OMG! WTF? Drew Barrymore and Jimmy Fallon left the safe space of 30 Rock where he films The Tonight Show and went to the streets of the Manhattan to dance to Locomotion by Grand Funk Railroad (thank you Shazam because I did not know which version it was) where they were the only ones who could hear the music in hidden earpieces. However they did not go dressed as themselves, instead, they put on some wigs, glasses and NBC page uniforms, and no one knew it was them. You can tell who are the tourists and who are the New Yorkers. The latter did not even look up while the former stopped to watch. That is NYers for you, nothing surprises us. 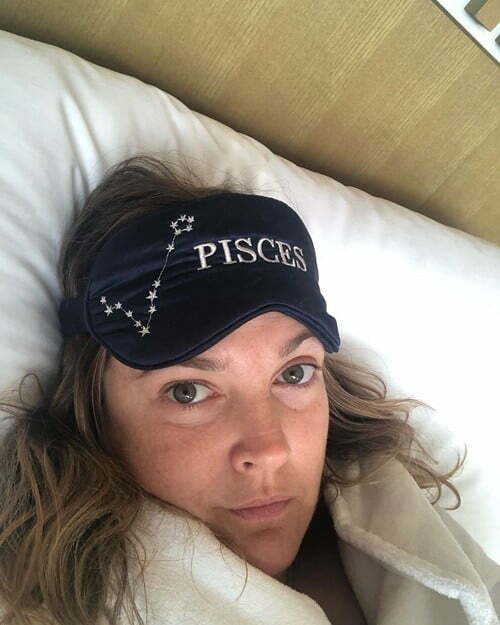 Celebrities love to share photos of themselves looking perfect and telling us that they woke up that way. Drew Barrymore is not like them. She posted a photo of herself with major jet lag after traveling to Australia and being up for 24 hours and counting. You know she looks just a pretty as when she gets a full night of sleep and is wearing her makeup line Flower. I grew up with Horror movies and show, but yet I have never been a fan of Zombies. There are just a handful that I can actually stand to watch. Santa Clarita Diet is one of them. Therefore, I have been hungry for new episodes. Today, Netflix announced they are serving up a whole new season on March 29th. Looks we are going to love it as much as Joel (Timothy Olyphant) and Sheila (Drew Barrymore) love each other. Which might give a whole new meaning until death we do part.